While it’s true that no one would really call the man driving that bus a hero per say, he certainly was that and much more to a dog. No one really knows how the dog ended up in the middle of a busy highway, but he was certainly happy to see his hero the bus driver. 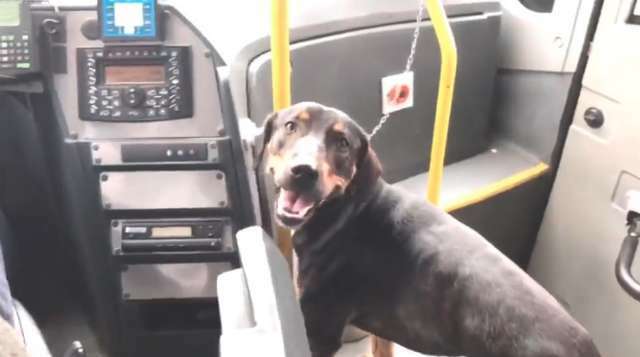 The dog was on the highway in Brazil and though he was driving a bus, the driver knew she needed his help and she needed it right away. So, he did the right thing. The pup was certainly grateful for the help, too. The bus itself was public transportation and was full of passengers on their way to work and to a variety of obligations. However, all those people in Rio de Janeiro were perplexed at first when the driver stopped the bus. Then, they realized the sweet reason he stopped: he had to save the dog. 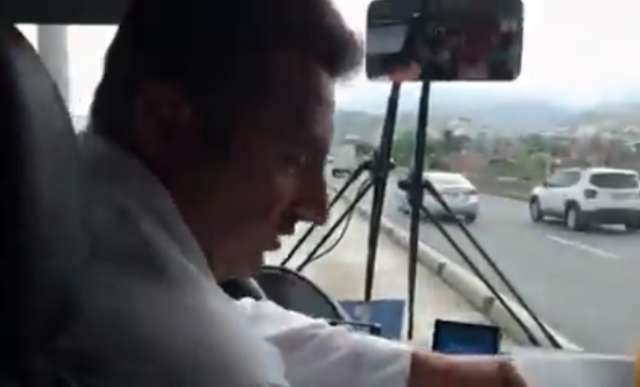 He parked the bus in the center divider of the busy highway and ventured out to help the dog. A passenger began to record video of the amazing action that happened next. The driver risked potential injury by walking out onto the highway to save the dog. He was able to successfully grab the dog and bring her to safety aboard the bus. And while the passengers all certainly had a bit of a delay in their daily commute, none of them seemed to mind the inconvenience. In fact, they can be heard cheering and shouting, “Thank you driver!” when he returned to the bus with the sweet dog in tow. While no one knows for certain if the dog has a owner or who she belongs or what her future might hold at this point, one thing is for certain: she is safe now and that’s all that matters!